We are lovers of anything cheesy and saucy here at my house, so manicotti just makes sense for us. 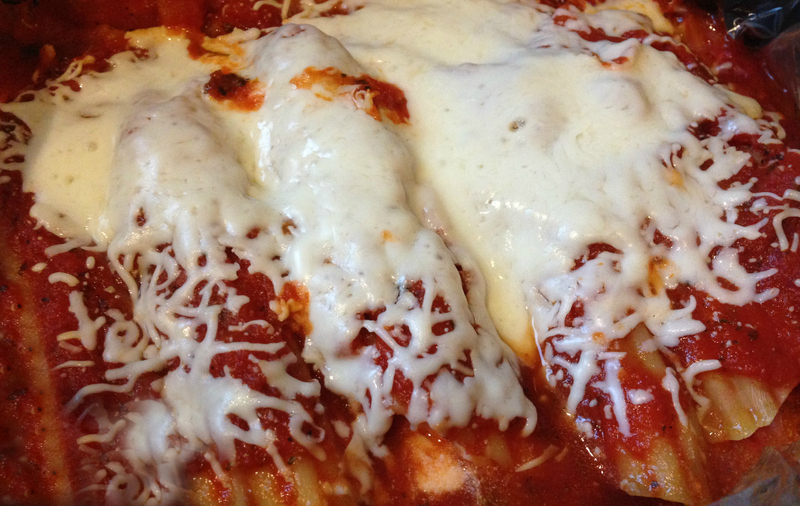 Anything I can make in the crockpot is a favorite for me… so I present: Crockpot Manicotti. This is amazing because you don’t have to boil your pasta before you fill it, which is what I always find to be the most annoying part when making manicotti. I originally found the idea from this pin. It has nothing but raving reviews! However, one of the main differences is that I prefer Ricotta Cheese to Cottage Cheese in mine. I also use fewer ingredients and cook it a bit longer. Place your crock pot liner in your crock pot. Then pour about 20 oz of your spaghetti sauce into the crock pot. Next, we’re going to make our cheese filling. Mix together all of the Ricotta Cheese, all of the Parmesan Cheese and 1 cup of the Mozzarella Cheese in a medium-large bowl. You can just mix it with a spoon. Once it’s mixed together, add in the Oregano and mix that together. To stuff the pasta shells, you can either use a small spoon OR you can pour the mixture into a plastic baggie and “pipe” it into the hard shells. I recommend piping it into the shells, it is a little less messy and it’s quicker to me. I typically pipe some into one end, and then pipe into the other end until the shell is full. Place the filled shells onto the sauce in the crock pot. Once you’ve fully lined the bottom, cover that layer with sauce. You’ll continue laying filled shells onto that sauce. Once they’re all filled, dump in the rest of your sauce. The cover with 1 cup of shredded Mozzarella Cheese. Sprinkle on the last cup of Mozzarella cheese. Cook for final 30 minutes. 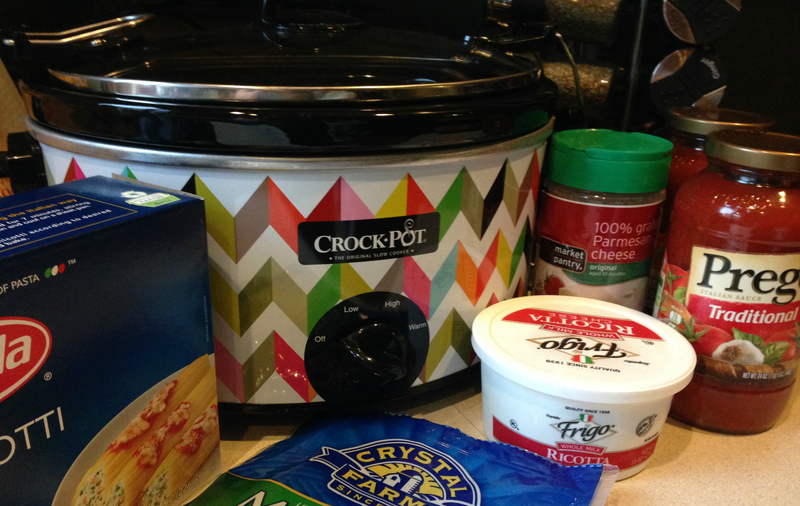 Using a crock pot liner is optional, but it makes clean up a breeze! Using the crock pot liner may add a few minutes to the cook time.